Male and female voices wanted! St. Arsenije Sremac Serbian Orthodox Church [pronounced as sveti ­ arsene - ey - sremats], Whitby, Ontario, is calling all Serbs and Eastern Orthodox Christians to join the new Whitby church choir. 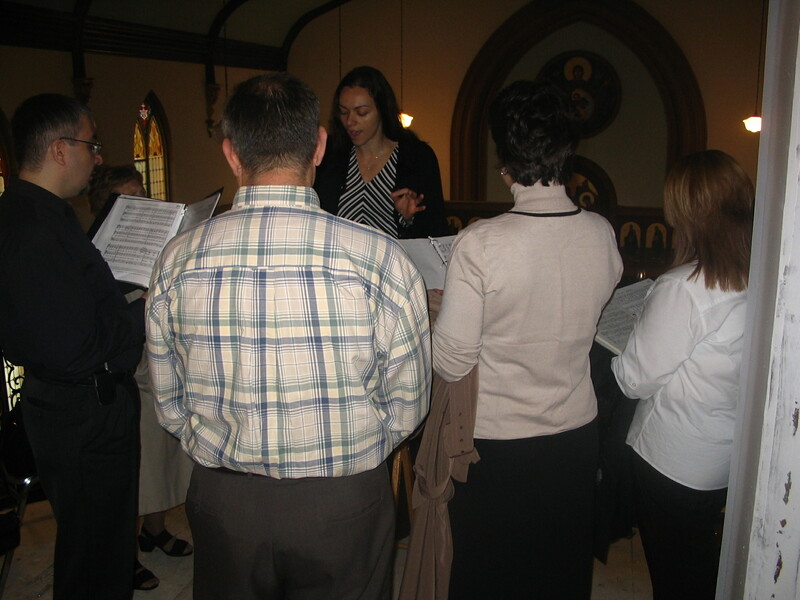 Since November 2004, eight faithful choir members, from various church communities in Ontario, began to sing "liturgical responses" on Sundays, in one of Ontario's newest church congregations ­ and, a church that is documented well by city officials to be one of WhitbyŒs most acoustically rich churches. Offering favourable acoustics to its parishoners, by its very nature, a new choir loft is one of the newest construction features of the whitby church, and needs to be filled by Eastern Orthodox Christian singers of all ages! The Whitby choir is in need of expanding its membership and choral sections to include new members who are interested in becoming regular church-goers, with experienced or musically talented voices. They're inviting you to learn to sing the unique Eastern Orthodox liturgical music, in a nurturing and most welcome learning atmosphere. 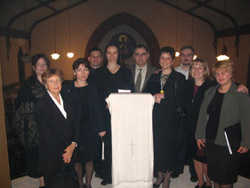 The Whitby Church Choir Director is Lepa Jankovic, the previous director of the Niagara Falls Serbian Orthodox Church. Liturgical practices areTuesday evenings at 8 p.m., in the Whitby Church Hall located on Byron St. South (just off of the 401 exit of Brock St. South heading North and left on John St.) . Please contact: (1)Lepa Jankovic at 905-852-4660 for the Toronto area and GTA, or (2) Svetozar Jovanovic if you are living in the Whitby-Oshawa-Eastern region at 905-668-1141. All ages are welcome!